We’re changing the way people think about transportation. Not that long ago we werejust an app to request premium black cars in a few metropolitan areas. Now we’re a part of the logistical fabric of more than 600 cities around the world. Whether it’s a ride, a sandwich, or a package, we use technology to give people what they want, when they want it. For the people who drive with Uber, our app represents a flexible new way to earn money. For cities, we help strengthen local economies, improve access to transportation, and make streets safer. And that’s just what we’re doing today. We’re thinking about the future, too. With teams working on autonomous trucking and self-driving cars, we’re in for the long haul. We’re reimagining how people and things move from one place to the next. We’re looking for people who can help us establish transit media through the ride-sharing business and are passionate about positively impacting driver-partners. The Media Sales Executive will drive ancillary driver earnings for the Uber Rides business through prospecting, qualifying, and closing new businesses keen on advertising on Uber as a platform. This role will develop strong relationships with key client accounts and will generate ancillary earnings for Uber's most engaged driver partners. This role will be expected to be a strong individual contributor and will report into the Program Manager for Ancillary Earnings. 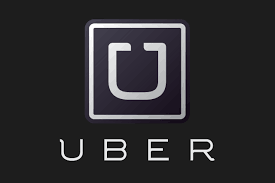 The Media Sales Executive will work closely with Uber Marketing, Operations and Community Operations functions.